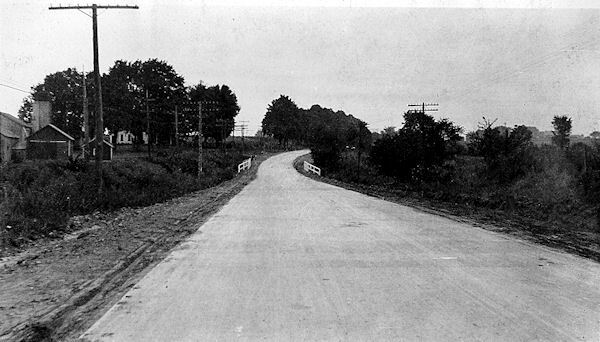 This image is of the road after paving. 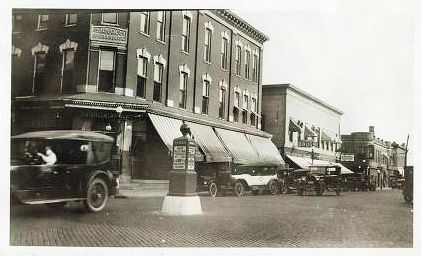 Image courtesy of the Regional History Center at Northern Illinois University. 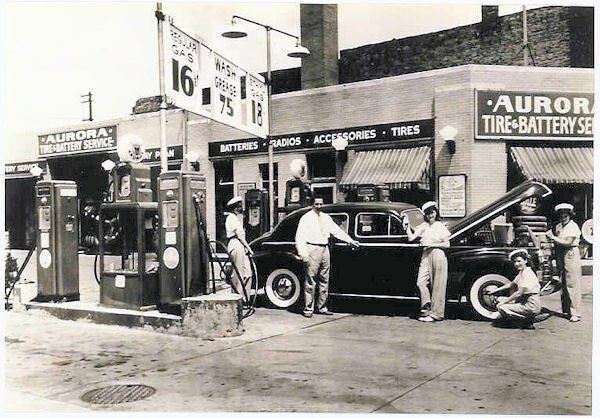 Can you guess when this picture was taken of the Aurora Tire & Battery shop? Image from Ruth Frantz. 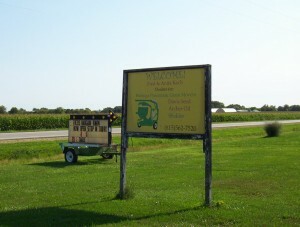 Welcome to the Land of Lincoln Highway, a web site of the Illinois Chapter of the Lincoln Highway Association! 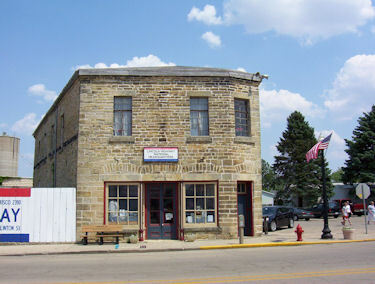 This web site celebrates Lincoln Highway in Illinois through stories, photographs, maps and more. It also keeps its members in touch with news and the latest events. We hope you enjoy the ride! 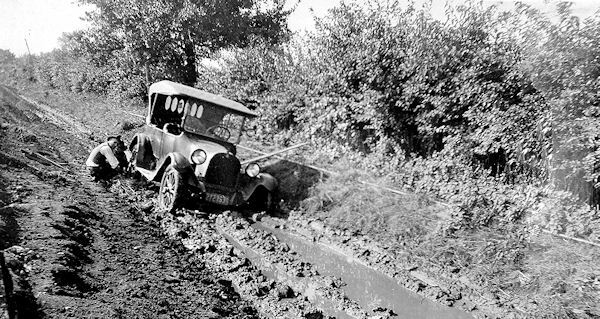 Lincoln Highway, the first improved transcontinental highway in the U.S. forever changed the way Americans saw their country. The first Seedling Mile of this historic highway was laid right here in Illinois, near Malta. 2018 Lincoln Highway Buy-Way, August 9, 10, and 11!! 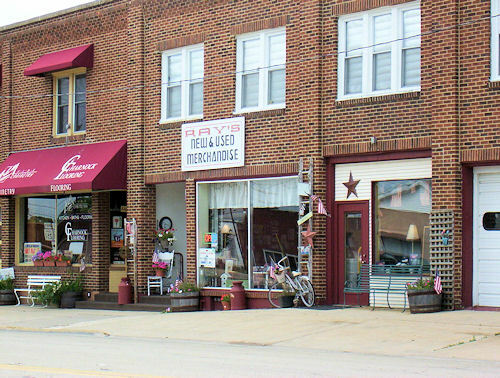 The annual yard sales are back, Thursday, August 9 to Saturday, August 11!! For those wishing to participate in sales, please find the form below. For those of you interested in going to the sales, keep watching this space for updates. Most people wait until right before the sales when the weather forecast comes out to decide their sale hours. 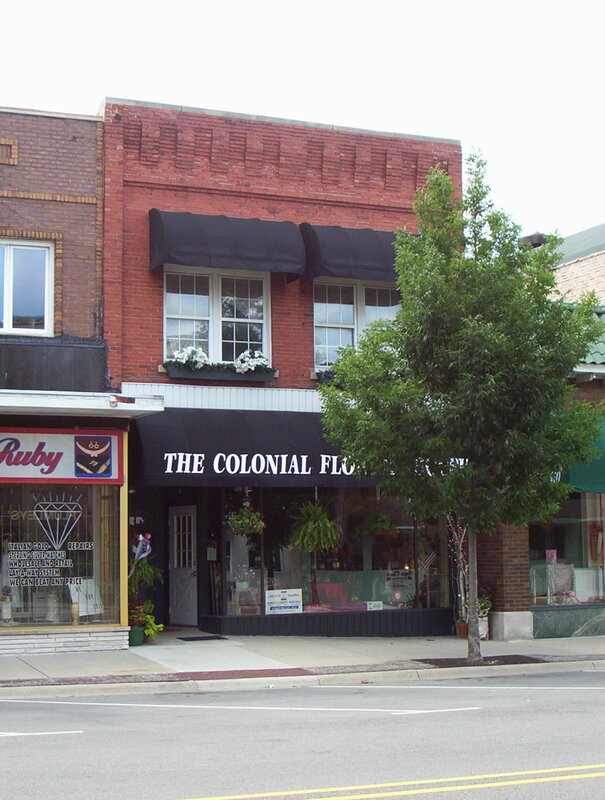 Fulton will again have Town-Wide Sales and Malta will join with Town-Wide Sales, new for 2018!! We hope to see you in 2018!! This entry was posted in News on May 9, 2018 by Kay Shelton. 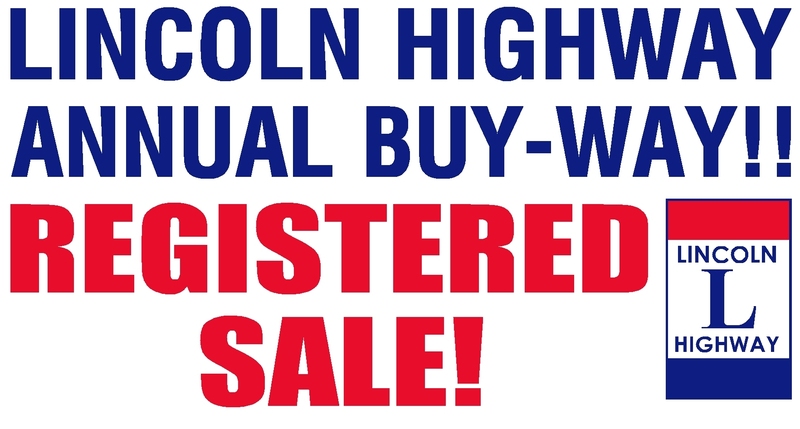 The annual Lincoln Highway Buy-Way Yard Sale was August 10, 11, and 12, 2017. Please keep watching this space over the next couple of months for details on the 2018 sales! This entry was posted in News on July 24, 2017 by Kay Shelton. Take the Lincoln to Lincoln! 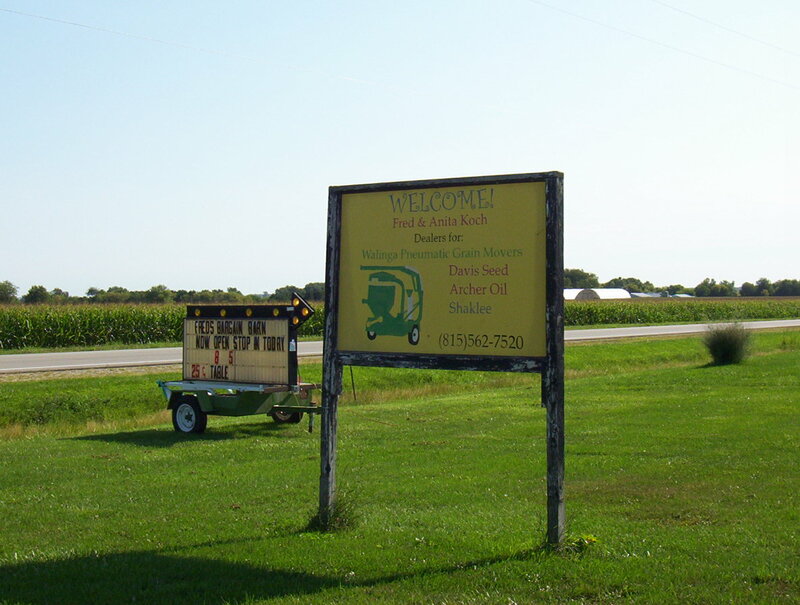 Join the Illinois Chapter for an early fall drive from DeKalb, Illinois to Lincoln, Nebraska! Take the whole route or as far as you wish to go. The drive will start Thursday, September 14 and end Saturday, September 16, 2017. The concrete marker re-dedication at the Lincoln Way Inn Bed & Breakfast in Franklin Grove originally scheduled for September 10th at 10:30 a.m. will need to be postponed to a later date. The bed & breakfast needs to attend to guests that weekend. Once a new date can be selected, information will be posted. This entry was posted in News on September 5, 2016 by Kay Shelton. Here are the business that participated last year in 2016! Nearly 50 Sales, All in One Place!! Many of the sales in Fulton were multi-family! This entry was posted in News on August 6, 2016 by Kay Shelton. The yard sales are back!! The bargains start with sign up! Our yard sales in Illinois have the best bargain for sign up, only $5!! Looking for sales? Check back right here on Wednesday, August 10 for last-minute registrations!! This entry was posted in News on July 23, 2016 by Kay Shelton. 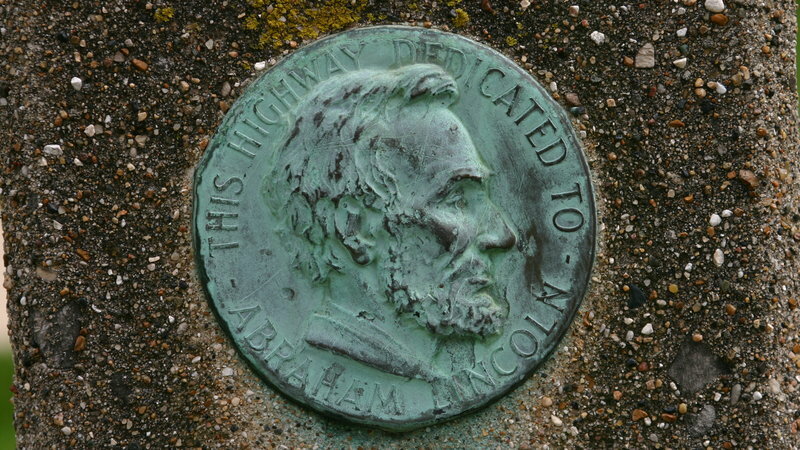 The Lincoln Highway is the unofficial world’s largest memorial to President Abraham Lincoln but it lacks official recognition. 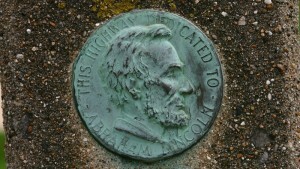 Over 30 years of research went into identifying all of the historical markers, the statues, and other visual reminders of Abraham Lincoln along the Lincoln Highway. 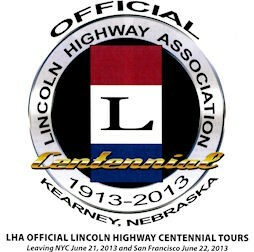 For more information and to sign the petition to support the Lincoln Highway becoming an official National Monument, please click here. 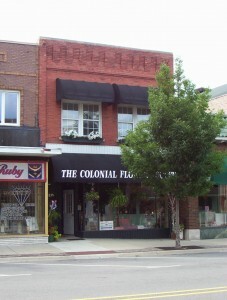 This entry was posted in News on August 7, 2015 by Kay Shelton. 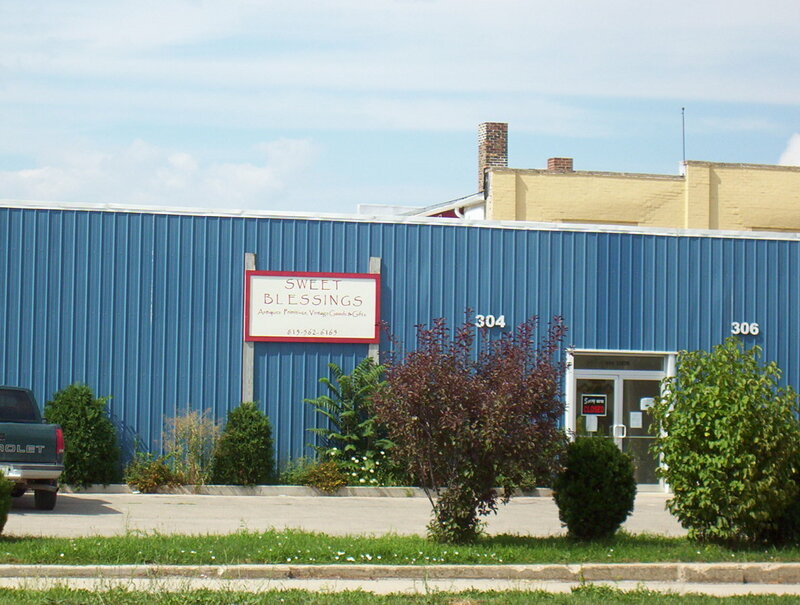 Find Yard Sales Here! Keep watching this space through the day before the sales, Thursday, August 12 because some folks wait until the weather predictions before they register. Sales Information Updated August 13!! This entry was posted in News on August 2, 2015 by Kay Shelton.